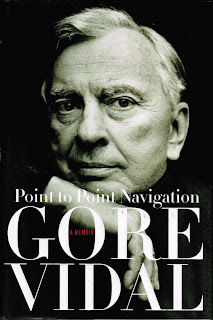 After reading this for the second time, I can justifiable feel a bit miffed- because I think I am the only person on the planet that Gore Vidal has not met. This is the second volume of memoirs from the 84 year old novelist, essayist and playwright. It is totally fascinating and even though its name dropper heaven, the names are not dropped just for the sake of it. This is a man who through various marriages of his mother and other relations was born into the upper echelons of American politics. He then, through his writing and film work met and associated with the biggest names in politics and entertainment in the 20th century. He's stays with Princess Margaret and tells a couple of very funny anecdotes about her. There are numerous tales of the rich and famous and his interaction with them. Running parallel to the public Vidal are very personal writings regarding his private life - his partner of 50 years, and his relationship with his parents. He simply has met everyone, and even though I have been told a million times not to exaggerate myself, I am not in this case. What was of particular interest was that although very liberal in his political thinking he never made a point of bringing his sexuality into it. He is homosexual but according to him, whether gay or straight this is the private business of the individual and not for public consumption. I just hope that this man has kept a diary over the course of his wonderful life, if he has it will equal at the very least James Lees-Milne, another who managed to bump into a few people along the way.